Former Housekeeper Answers The Question No One Wants To Know About Trump — Boxers or Briefs? A recent New York Times report sheds light on the challenges of two Latin American immigrant women (one of them currently undocumented) who worked at the Trump National Golf Club in Bedminster, New Jersey. 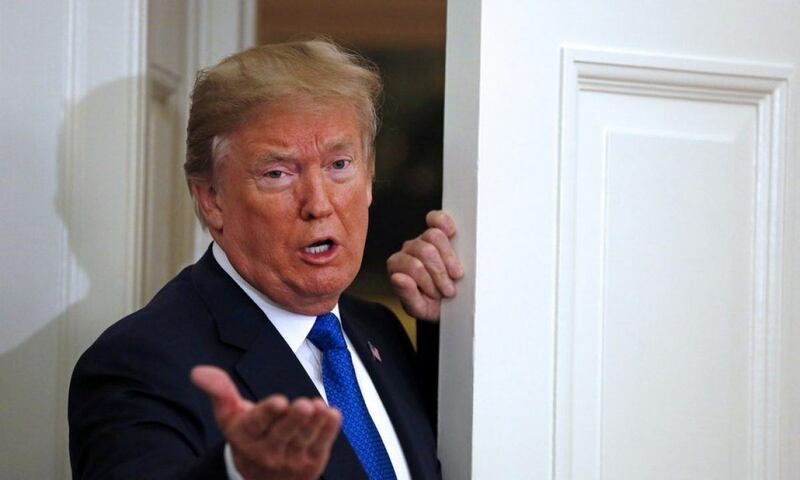 But it also briefly touched upon a few topics that you may have wondered about: Does Donald Trump wear makeup, and does he wear boxers or briefs? Well regarding the underwear question, we now know that the president wears boxers. White boxers to be exact. And he likes them ironed. Trump wearing boxers might be a new thing, because an adult film actress Trump once cavorted with said Trump was a briefs man. We also know more about Trump’s makeup habits. It’s possible, too, that those “orange stains” may have been left behind by an artificial tan. Over time, the president’s tan has been a frequently discussed topic. A Marie Claire article on the president’s complexion delved into the different shades of his tan with photos from 1986 up to 2017. While it may surprise some people, it is pretty much understood that a lot of politicians, including male members of the political arena, wear makeup. Whether it’s for personal reasons or to charm their supporter bases with a perfect crop of hair and primer, or to simply look good on television, politicians are no strangers to the occasional dabbing of blush or concealer. In fact, this topic has gotten its fair share of investigation, too. In 2016, Mic reported that many American politicians wore makeup, including Trump. “Lots and lots of it,” the outlet claimed.